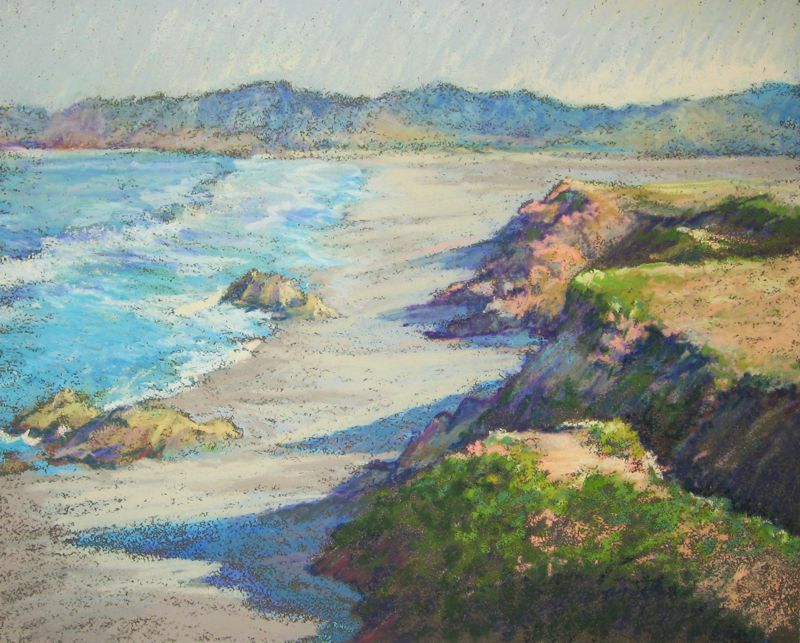 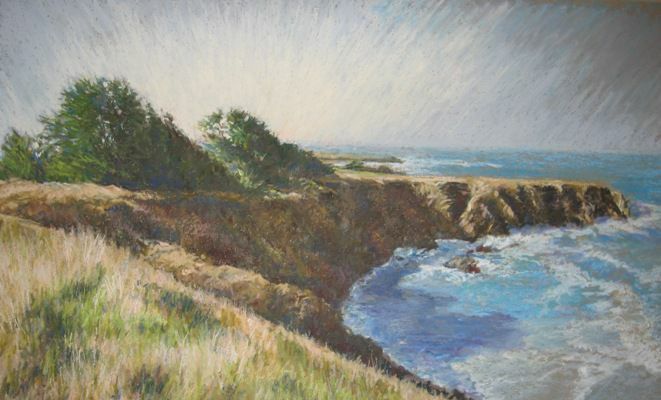 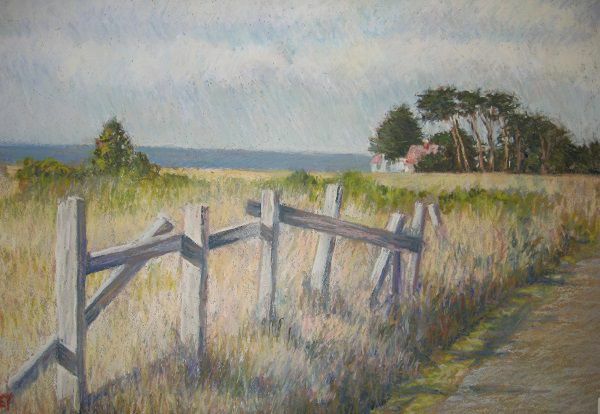 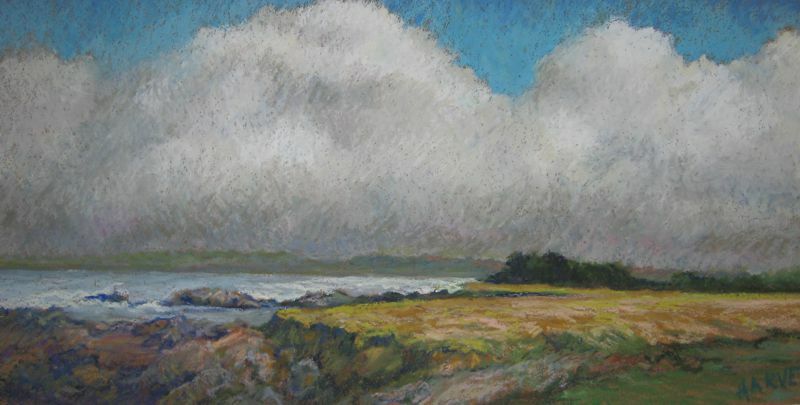 Eleanor Harvey’s major art interest has been the landscape, and since moving to Fort Bragg, I have found such inspiration from the surroundings, including the ocean, forests, and inland scenes; for the last few years, I have “painted” almost exclusively with stick oil pastels, which give me the ability to combine my love of drawing with the exquisite colors of this oil-based medium. 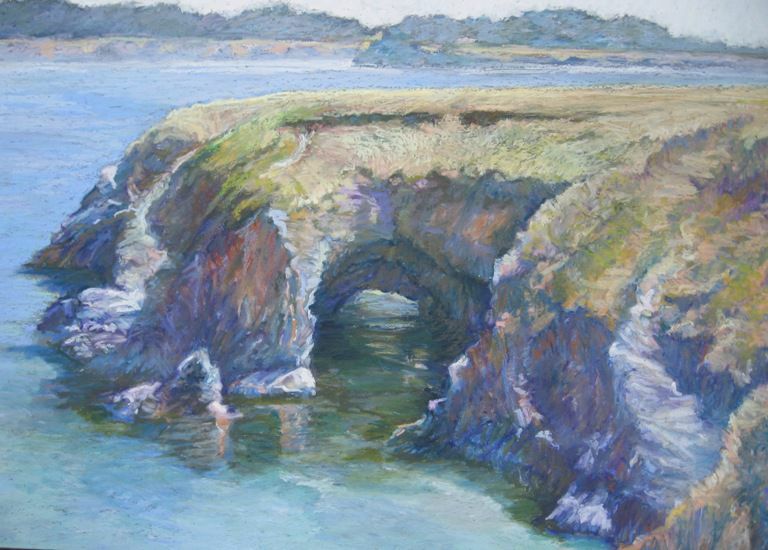 Winning first place at the Art for the Parks show hosted by Mendocino Area Parks Association (MAPA) introduced me to wonderful artists and groups in my new home. 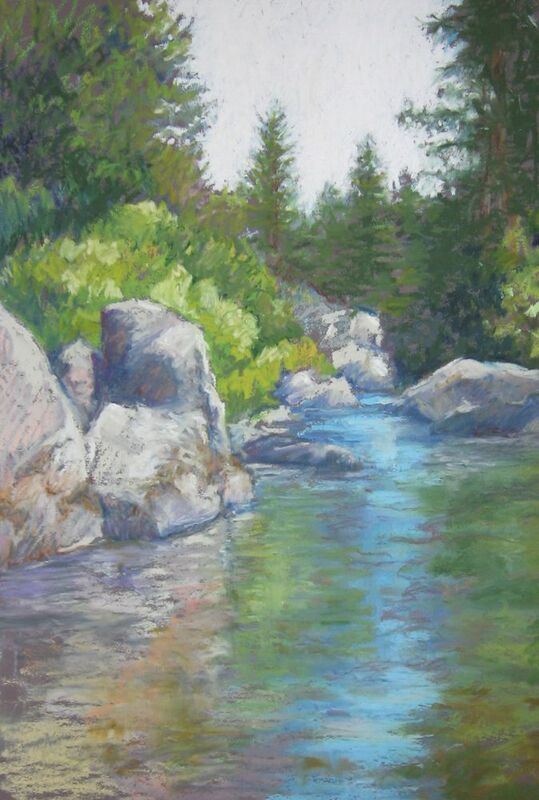 I’m honored to be included with the MEA and be part of shows that support environmental projects in our community. 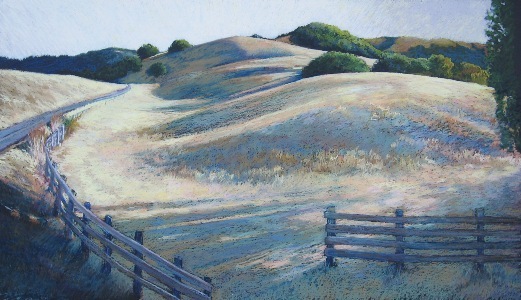  More of my art can be seen on my website: www.eleanorharveyart.com and at Gallery Mendocino on Main Street, Mendocino, California.